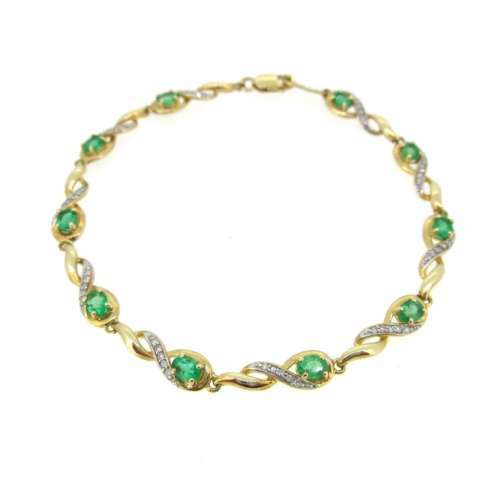 A modern design emerald & diamond bracelet with alternate links running throughout the bracelet. 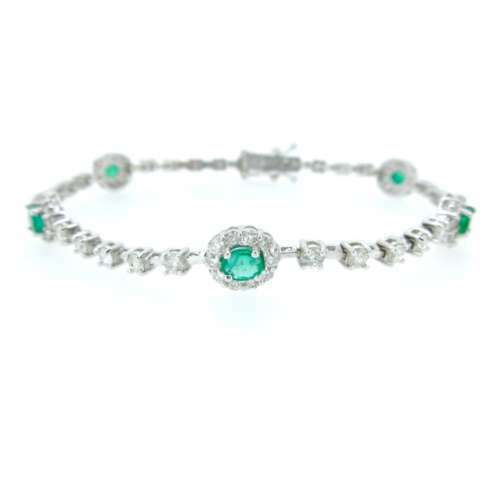 The 9ct white gold compliments the emeralds beautifully. The bracelet has two figure of eight safety clasps. Length 7 inches.